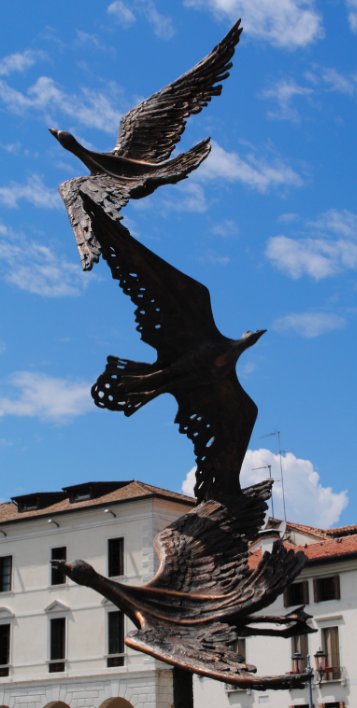 Located along the Riviera Garibaldi, near to the Ponte Dante, is the bronze sculpture “Pace in volo libero” – “Peace in free flight”. The sculpture is the work of the master sculptor Alfiero Nena and was donated to the city in 2006. 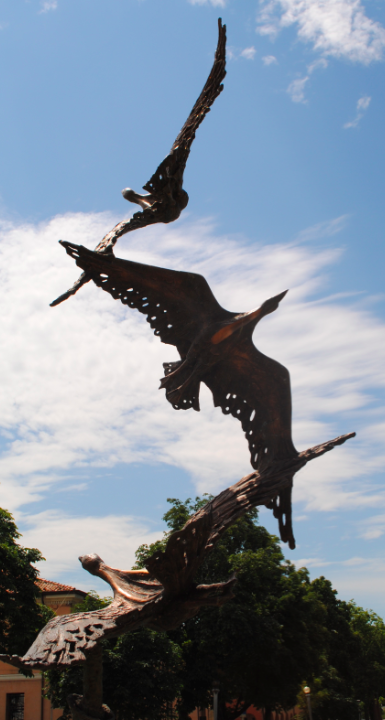 Three seagulls hover above a budding olive trunk and is a gift from the artist to his hometown.